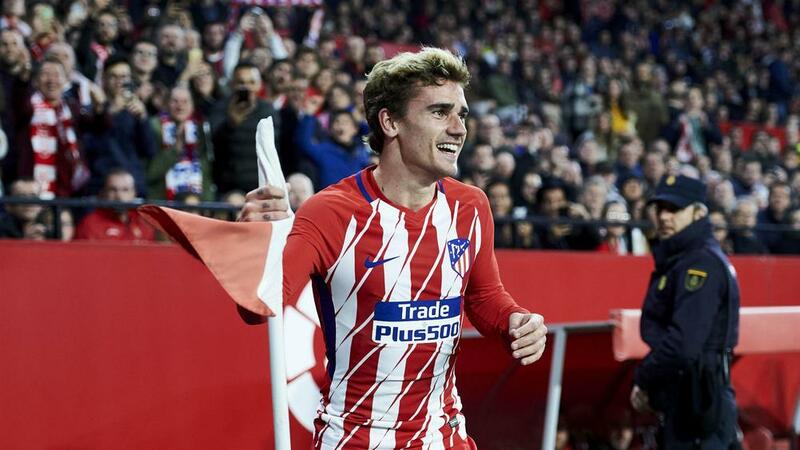 Atletico Madrid star Antoine Griezmann only needs trophies to be considered alongside Lionel Messi and Cristiano Ronaldo, according to Fernando Torres. Griezmann has enjoyed another fine campaign for Atletico, scoring 26 goals in all competitions – the same total he finished with last season. The France international, who arrived at Atletico a season after the club won the LaLiga title, is linked with a move to Barca. Torres believes Griezmann, 27, would be spoken about alongside Ronaldo and Messi – if he could win more titles. "To be considered at the level of Messi and Cristiano, he is missing titles," he told Cadena SER. "I hope he gets them at Atletico." Torres, who has announced he is leaving Atletico at season's end, wants Griezmann, goalkeeper Jan Oblak and coach Diego Simeone to remain at the club. Oblak, 25, has also been linked with a move and Torres was full of praise for the shot-stopper. "I've never seen a better goalkeeper than Oblak," he said. "I'd pay anything for him to stay."